Many fantasy authors have been able to reflect this change. It’s no longer a fantasy to read about female main character or relevant sidekicks who are self-sufficient, fighters and capable of acting on their own behalf. Undoubtedly one of the most important characters in The Lord of the Rings (which if you loved you may like these suggestions) saga since she was the only one capable of defeating the fearsome Witch-king of Angmar (the leader of the Nazgûl or Ringwraiths), the one who could not be defeated by any man. Warrior of Rohan, was continuously protected by both his uncle and his brother, not allowing her to fight. She had to deceive both and disguise as a man in order to go to the battlefield. Not only she fought as bravely as anyone, defeated the leader of the Nazgûl was one the reasons their army took advantage over Mordor’s. The Hunger Games did not seem like a suitable place for a young lady, but Katniss was far beyond all that. From survivor to winner of the games defeating all those who looked like favorites. Proving that after her apparent fragility, there was a warrior spirit, capable of imposing on everyone and everything. The love of Geralt of Rivia (The Witcher series) smelling like lilac and gooseberries. Not only smells good, But Yennefer is also a powerful sorceress who has cleverly and magically camouflaged both her real age and appearance. Aside from her magical abilities, she also played a very important role as King Demawend’s adviser, a position that until then seemed to be reserved only for men. When I created Yennefer’s character I wanted Geralt to fully grow, but then I decided to make things complicated. I created a female character who refuses to be a fantasy stereotype to please the reader. Brienne of Tarth is a relevant character of A Song of Ice and Fire (Game of Thrones) and, in my opinion, a really inspiring one. Daughter of the Lord of Tarth, being she his only heiress, she would behave more like a soldier. 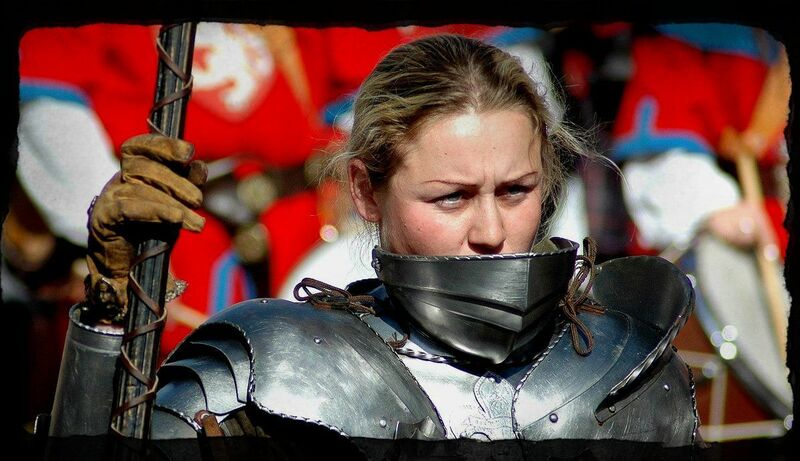 After a life of rejection due to both her unattractive appearance and her lack of feminine social graces, she will find her path, the path of the knights. She started as King Renly’s personal bodyguard and ended up becoming a sword sworn by Catelyn Stark in the search for her daughters. She successfully carried out his mission and ended up protecting both Arya and Sansa. Earning the respect of both friends and enemies, as is seen with the treatment she has with Jaime Lannister. Throughout fiction, we see her as a figure capable of defeating any warrior, however fearsome they may be, as is the case with The Hound. In addition, Brienne goes to the battlefield without hesitation and is shown as a mortal and dangerous enemy. So here you had some examples of some popular books for women to be inspired, I hope they are encouraging enough and hope these are cool good reads for you.